Prisco® Coldset, Directory and Newspaper Web press concentrates include acid, mild-acid and neutral formulations tailored for specific press configurations and dampening systems. The formulas will run without the need for additional wetting additives and are buffered to work in a wide-variety of water conditions. All products will control the major printing issues associated with the application they are designed for. You can expect optimum printing results and wide operating latitude without plate sensitivity, toning or scumming. 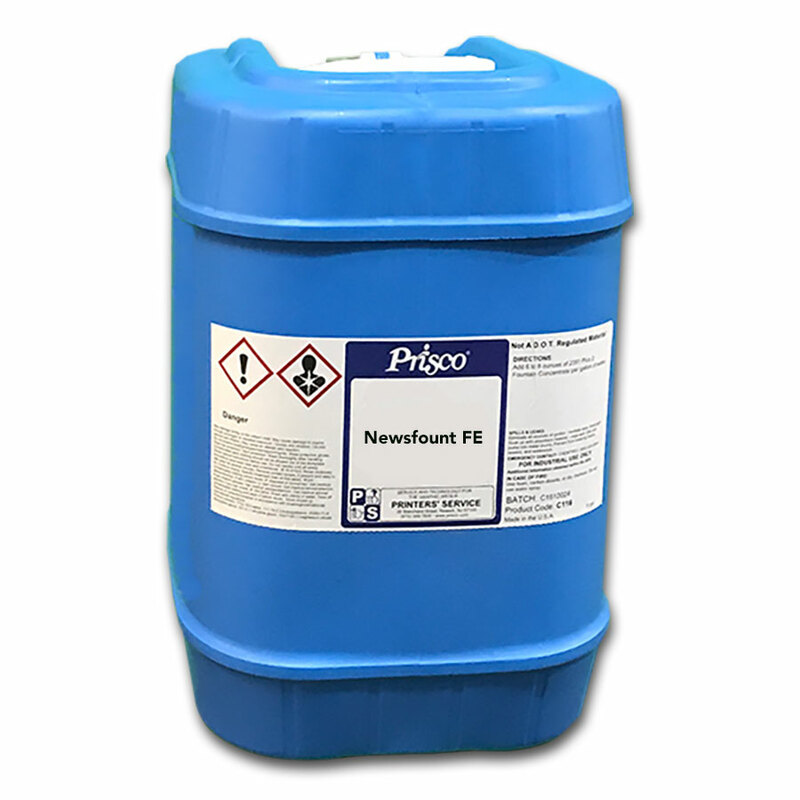 Prisco formulas are available that address regulatory guidelines as well as those that meet specifications of major press manufacturers as certified by FOGRA. The following are our most popular Coldset, Directory and Newspaper Web formulas. Other formulas are available to accommodate variables such as press and dampening system configuration, incoming water characteristics, ink and ink coverage and substrates used. Your Prisco representative will work with you to identify the formula that’s perfect for your conditions. Mild-acid zero-VOC fountain non-corrosive solution concentrate. FOGRA certified, one-step, zero-VOC, non-corrosive. Helps prevent calcium buildup on press rollers and dampening system. Mild acid, zero VOC, low corrosion. Ideal for water with low - medium alkalinity. Prisco fountain concentrates are available in various packaging formats depending on the region of purchase. For North America these include: 5-US Gallon (18.9 Liter) cubes, 30-US Gallon (113.6 Liter) plastic drums, 55-US Gallon (208 Liter) plastic drum and 275-US Gallon (1041 Liter) totes. For Europe: these include: 25 Liter plastic drums, 200 Liter plastic drums and 1000 Liter IBC.